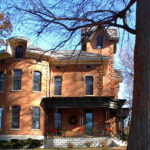 Brinkerhoff – Melotte, Morse, Leonatti, Parker, LTD.
MMLP assisted Springfield College (now Benedictine University) and the Brinkerhoff Home Inc. in creating a prioritized plan to stabilize, then restore and reuse this historically significant residence on the small and historic college campus. In the late seventies, the building was vacant and in danger of being demolished. 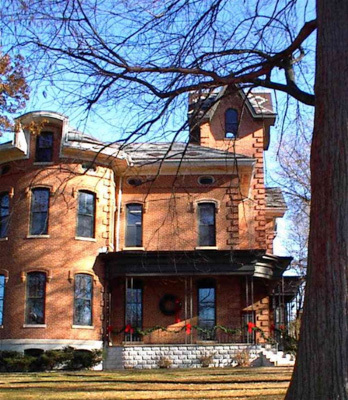 The house was not listed yet listed on the National Register of Historic Places. MMLP first assisted in listing the house on the National Register. 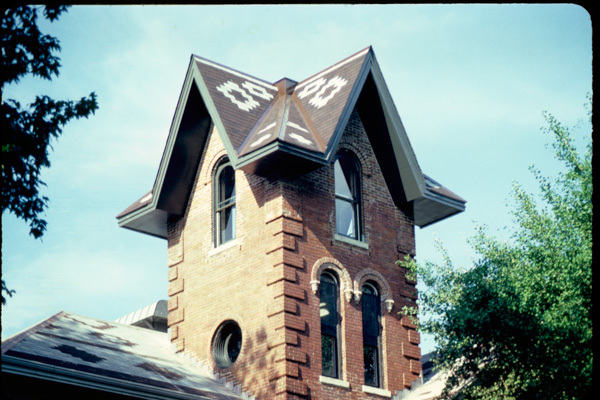 The first restoration project repaired the steeply sloped and flat roofs and flashings to prevent further water infiltration both into the building and into the brick walls. A new patterned asphalt shingle was used to replace the original slate roof (lost in previous years’ renovations). Rafter stabilization was included to strengthen the roof. 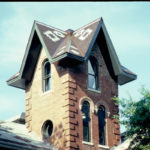 MMLP reconstructed the tower from the original linen hand-drawn blueprints. 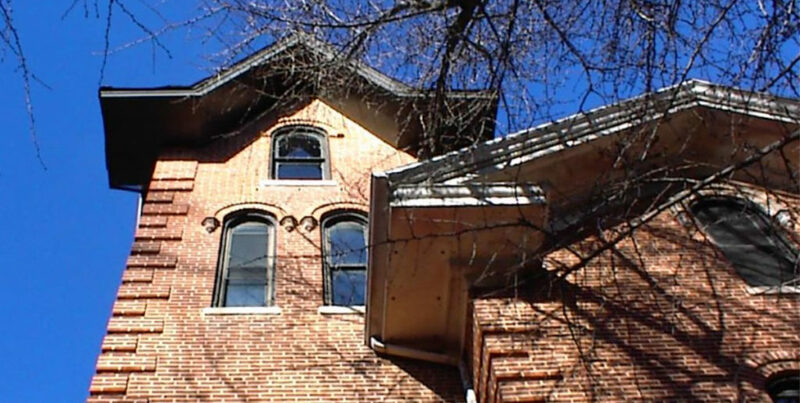 The next phases of reconstruction and restoration included basement stone foundation repairs, exterior tuckpointing and interior systems replacements including insertion of a new HVAC system. It was a priority to make the exterior shell of the house watertight to prevent deterioration. Repair mortars for tuckpointing were chemically researched and matched for composition and hardness. 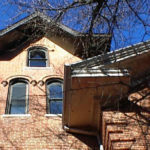 Later projects included window replacement and recreated elements for porch repairs from historic photos, interior finishes and detailing to create a serving kitchen and restore interior detailing have also been designed as well as installing new chilled water piping and HVAC fan coil units.